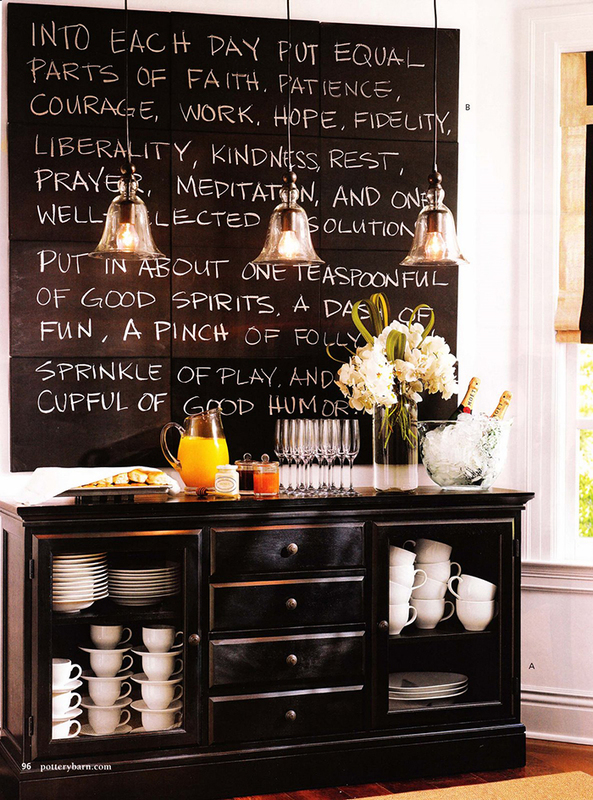 Ok, so lets take a minute to look at all of the fabulous things that can be done with chalk boards. First, they look brilliant in just about any room, and second they are fun for the entire family! I love this wonderful design concept from Pottery Barn. 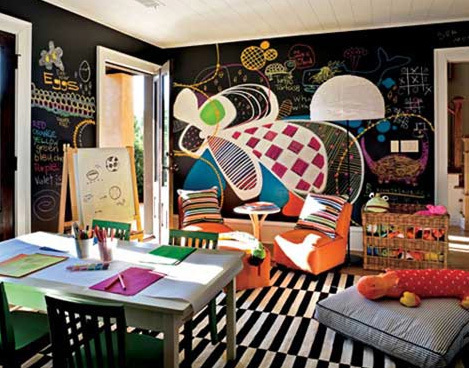 You can even have a playroom with chalk board walls. Hows that for child proof? I love this idea from ohdeedoh. It adds such a playful feel to the room. I also found tons of fabulous chalk board items on Etsy. 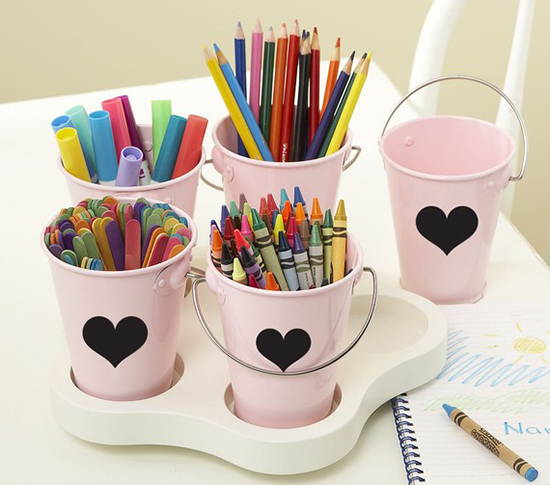 One of my favorites is the Vinyl Chalkboard Shop! 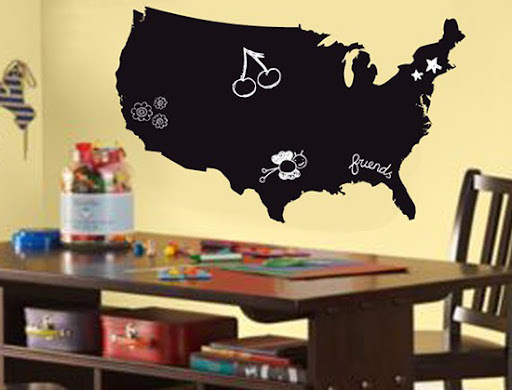 They have a wide variety of items, from chalk board wall decals to labels and tags. 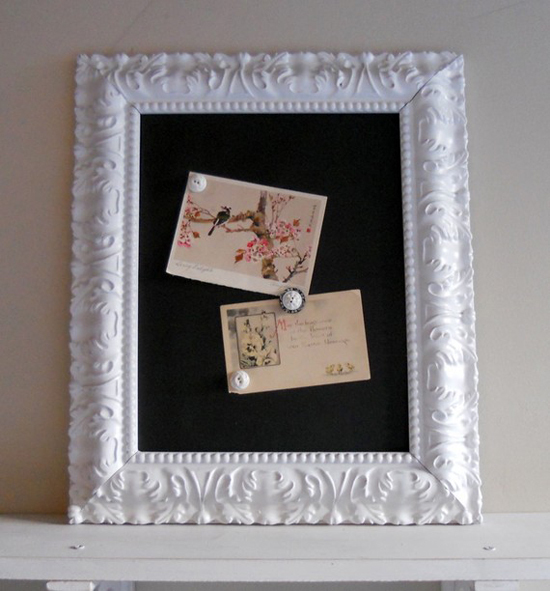 How about an adorable framed chalk board from Shuga Bee Lane. Perfect for any room in the house! Plus, it is magnetized so you can stick photos or notes to it with decorative magnets. 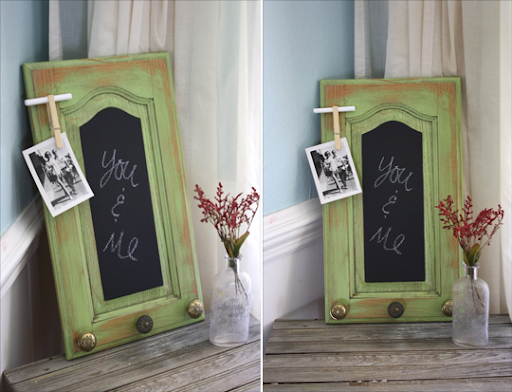 Check out this vintage green 'small and chunky' chalk board from funkie finds.